at your own time and location. No more stress with traffic, save gas and time! Certified teachers who teach all English levels! You can travel and still have your Skype English classes! 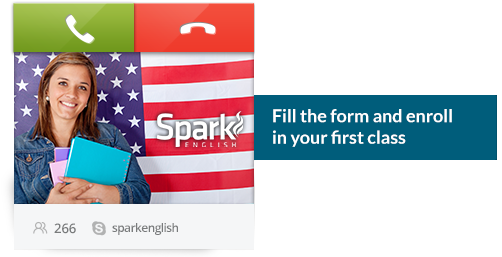 Learn English on Skype with private classes, created specially for you! Watch below a video with more details of the course! Buy your class plan! After scheduling with one of our teachers, just purchase your plan and start learning English with your exclusive private classes. Quer marcar sua aula inicial?